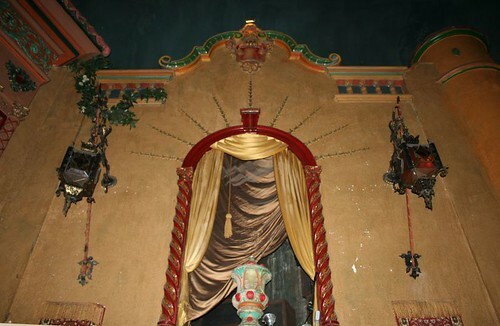 I found a moment to stop in to the Music Box Theatre this weekend; the staff graciously allowed me to snap some photos between shows. 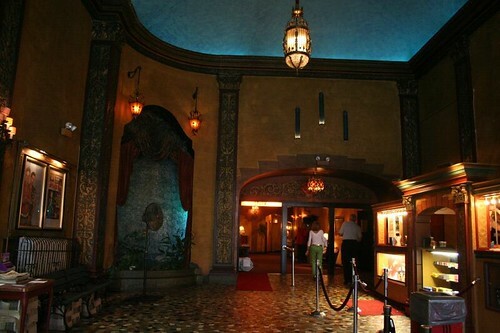 The main lobby presages what you’ll find within; its upper ceiling is dimly illuminated as if it were the sky at dusk. 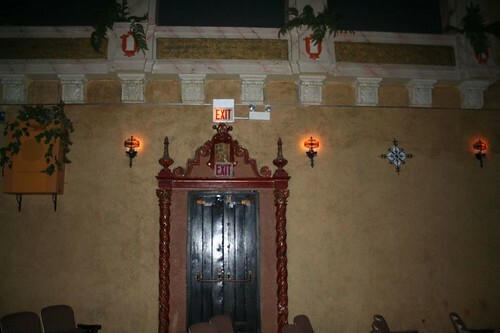 Past the doors is an inner lobby or lounge, tucked under the balcony. It’s a cozy space, with a low ceiling and a few chairs where you can wait for your party. The lighting continues to dim. 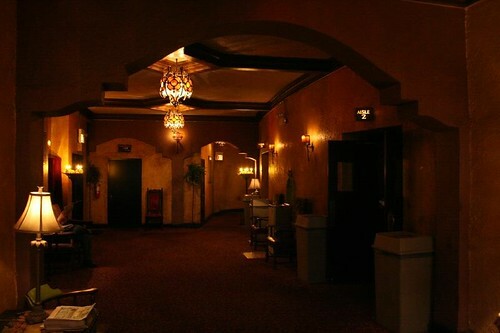 On entering the theater, one’s eyes struggle to adjust to the near total darkness. 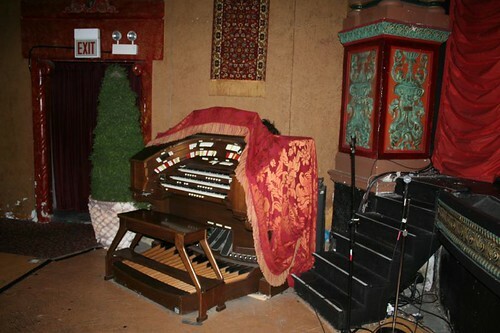 The submersion into another world is now complete, particularly if the organ is being played. Slowly, details become visible in the darkness, and you realize what’s around you. 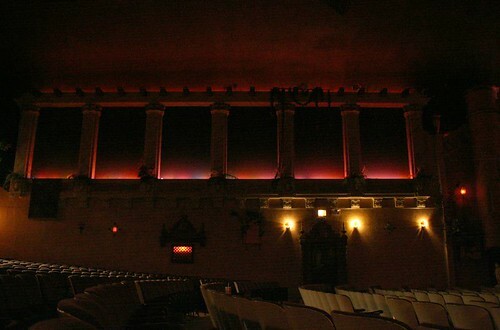 The darkened lighting allows the theater to pull a few fast ones. Microphones and wiring sit randomly around the stage, invisible to the audience. Some spots on the walls need paint or plaster repairs, but hey, who’s gonna notice? 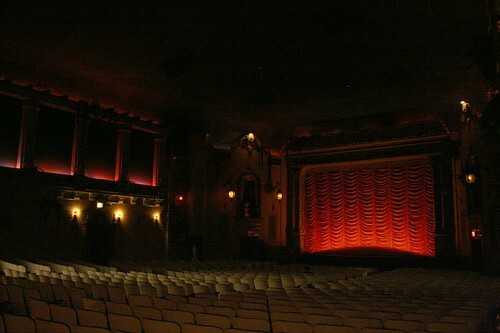 The theater is a lovely experience from start to finish, and I highly recommend catching a movie or three there. This entry was posted in theaters. Bookmark the permalink.